Grobag Sleep Sac - a sleep sac your little one will enjoy! 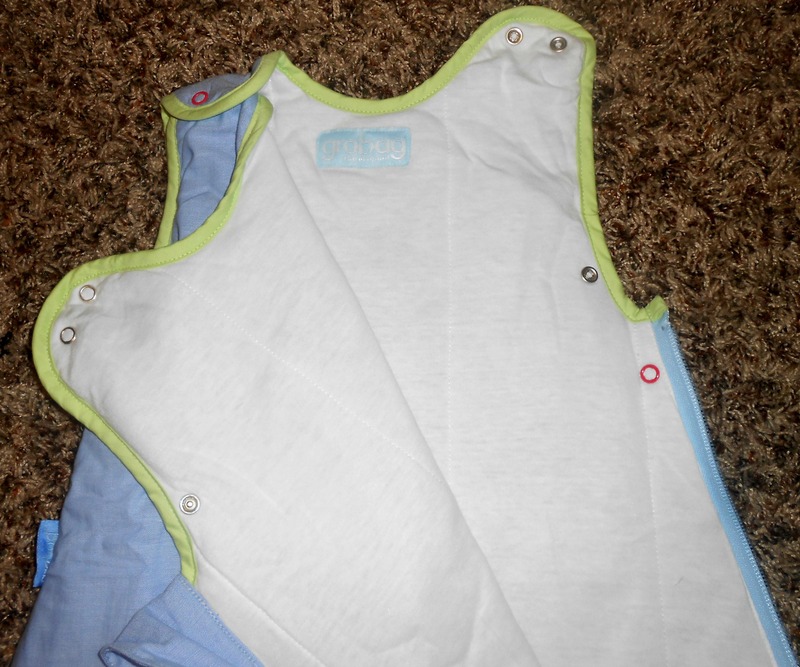 Grobag Sleep Sack- the perfect sleep sac for your little one! Everyone knows that babies need sleep. Some babies love being swaddled and some hate it. My daughter hated being swaddled and at night time she’d scream if we tried to swaddle her. We decided it’d be better just not to swaddle her. We’d wrap her as tightly as we could in a regular blanket, but she’d wake up every morning a frozen popsicle. I had no idea what to do to keep the blankets on her during the night to keep her warm. 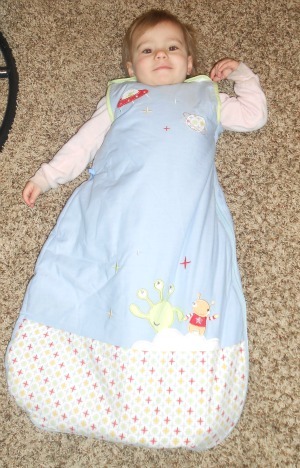 I wish I would have known about the Grobag Sleep Sack when she was younger. The Grobag Sleep Sack is a sleeping bag that zips all the way up and down and assures the baby can stay warm. Grobag comes from the Gro company in the U.K. They sell some items, such as the Gro Egg, Gro Swaddle, and Gro anywhere blind to the U.S. through the company Nojo. 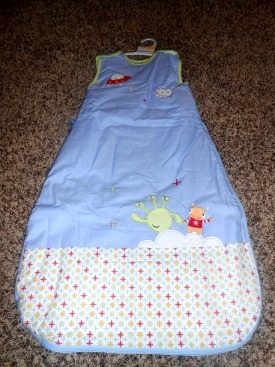 They sent me this cute alien Grobag sleep sack for my baby boy. The Grobag comes in two different sizes 0-6 months and 6-18 months. I got the 0-6 month size for my little boy. The Grobag is very long giving baby room to kick their legs, but to also stay covered up. I was able to fit my almost 2 year old daughter in this Grobag. She is 32 inches long, so it goes to show that the Grobag will definitely fit the ages listed on the Grobag, even if you have a longer baby. The Grobag can unzip all the way so you can easily put your baby in it. The material on the inside of the Grobag is a cotton material. The sleep sac is also a little bit padded and it is extremely warm. It is a lot warmer than any sleep sack I have seen. It is perfect for winter and those babies that kick off the blankets. 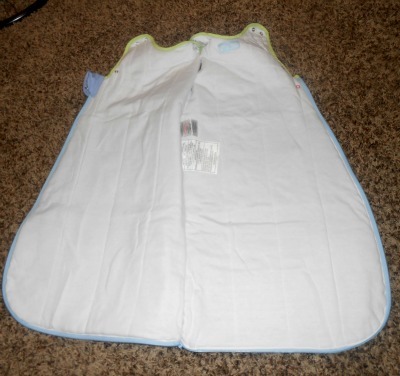 The sleep sack has buttons on the top so you could slip your baby in at the top as well if you want. The arm holes are very spacious and large. The zipper zips up all the way to the arm holes, but luckily they have a piece of cloth that goes over the zipper once it is zipped up. With the piece of cloth there it assures that your baby is safe from getting a scratch on their arm from the zipper on the side. Be sure to look at my Gro Anywhere Blind review. It is part of our bundle giveaway with the Grobag. The Gro Company is offering to giveaway a Bundle including – (1) Gro Anywhere Blind & (1) Grobag sleep sack OR Grobag travel (you choose which one you’d want) 2 prizes 1 winner!! All you need to do to enter is fill out the Rafflecopter form from the link below! This giveaway end at 11:59 pm est on 4/10/14. CLICK THIS LINK TO ENTER!! 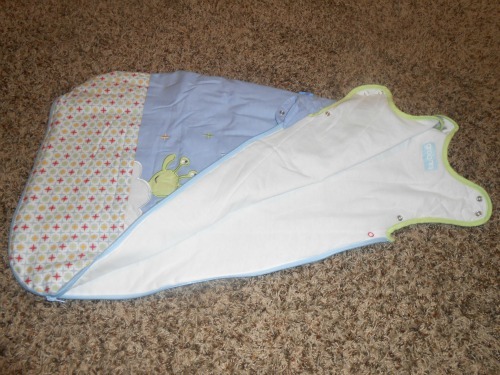 This sleep sack looks so comfortable, I love the buttons at the top that make it easy to just slide your baby in! Thanks for the review!